Palm Beach island is filled with incredible chefs and restaurants, at an expense. One of my favorite ways to try out a new place is during happy hour to see if the food, service and environment are worth coming back for. I was surprised to see what great deals were offered in this resort town, even in peak season! 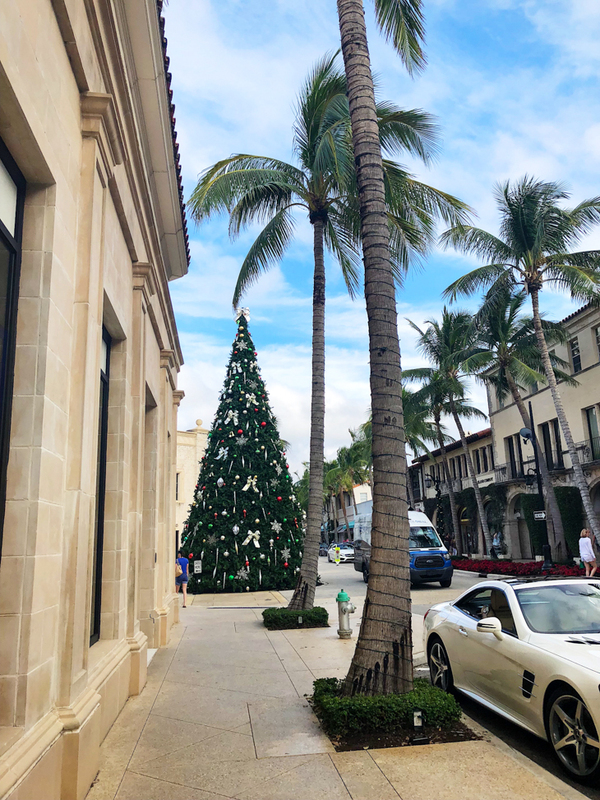 Our hit list of spots centered around Worth Avenue, a famously sophisticated one-way street lined with high-end boutiques, European-inspired architecture and perfectly polished palm trees. From 9am-6pm daily, there is a two-hour parking limit, and the police have a system that scans and records license plates.. The ticket is $50-60 for going above two hours, which is too many happy hour drinks in my book. We were very lucky with finding both our spots quickly, but if you're not, the trick is to cruise down the avenue very slowly. One or two times around, chances are someone will be leaving. There is a valet parking garage at the Esplanade, located near the department stores and ocean, which I believe is $4/hour + tip for the valet. Beyond the extravagant window displays are the Vias, which are narrow alley ways that could easily be missed but shouldn't be. 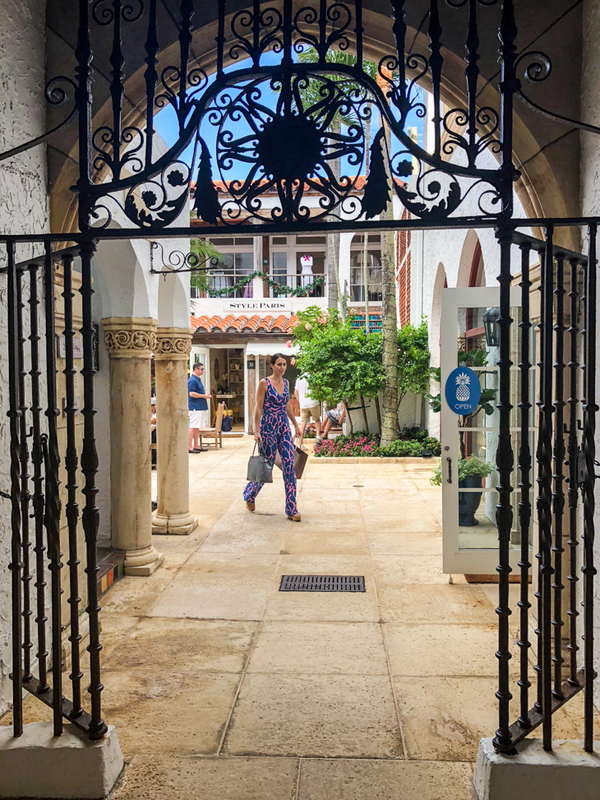 They house quaint cafes with courtyard seating, boutique shops, brightly colored lush landscaping and historic columns and tiles. 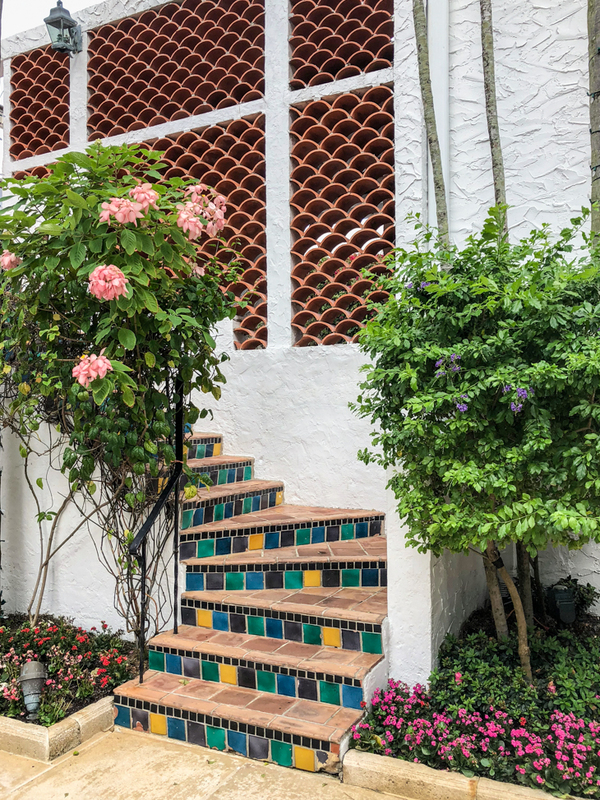 We enjoyed walking through Via Mizner, pictured below. 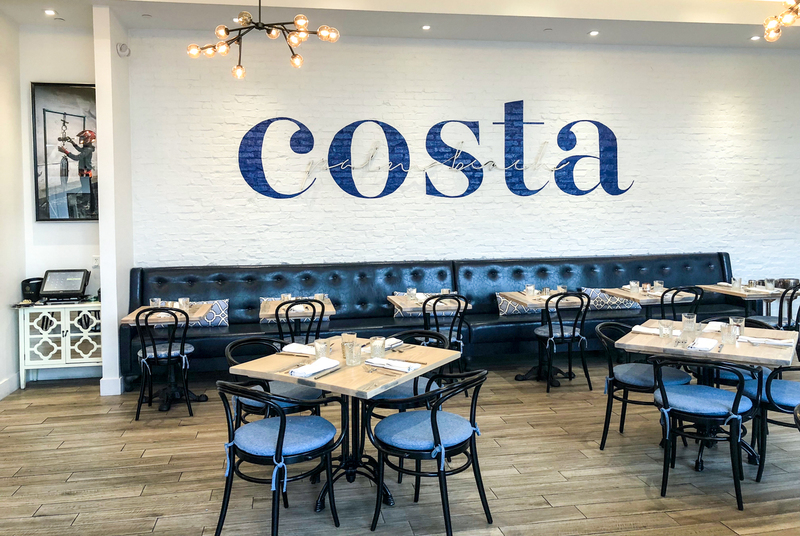 (EDITORS NOTE: CLOSED AS OF APRIL 2018) Our first stop was at Costa, a modern Mediterranean restaurant located on the second floor in the Esplanade. 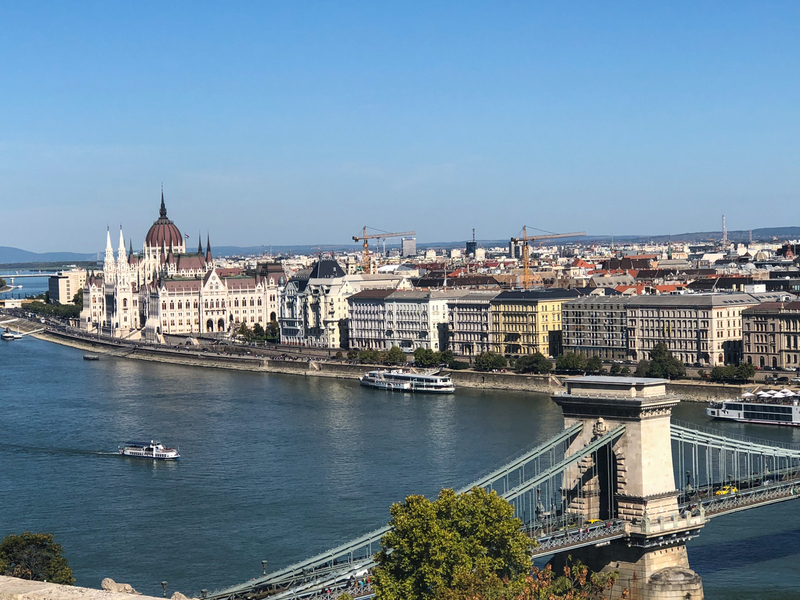 They offer half off drinks and bar bites for their happy hour from 3-7pm daily. On Wednesdays, they have $1 oysters all day. We ordered the Fresa Fresa and the Framboise Bouree cocktails, but decided to skip on the bar bites. Apparently their falafel bites are great though – next time! The cocktails were well-made and the interior design/decor was on point. 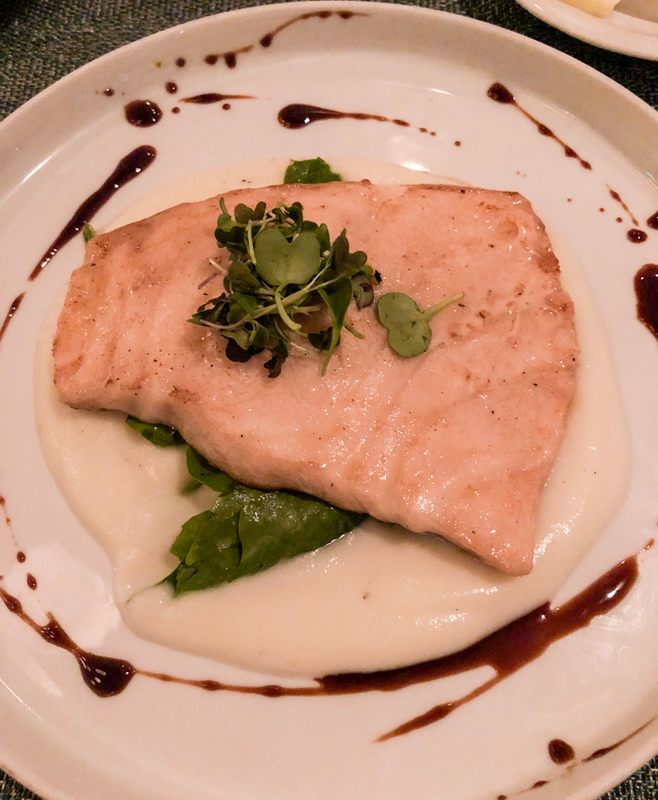 Our bartender shared some of his favorite entrees, including the Salt Baked Branzino with an arugula emulsion, grilled lemon and olive caper tomato relish. We plan to go back to try it! 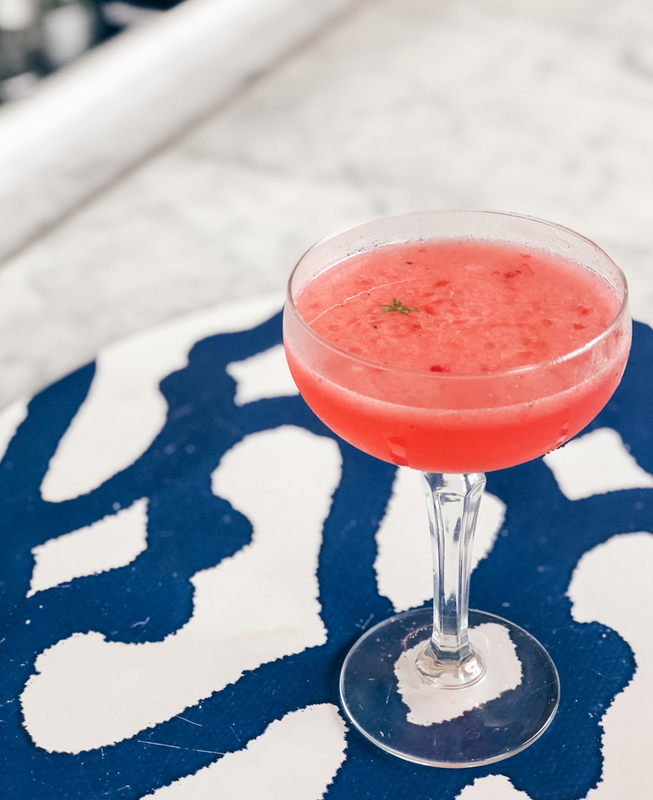 In the Brazilian Court Hotel is renowned chef Daniel Boulud's Palm Beach restaurant. 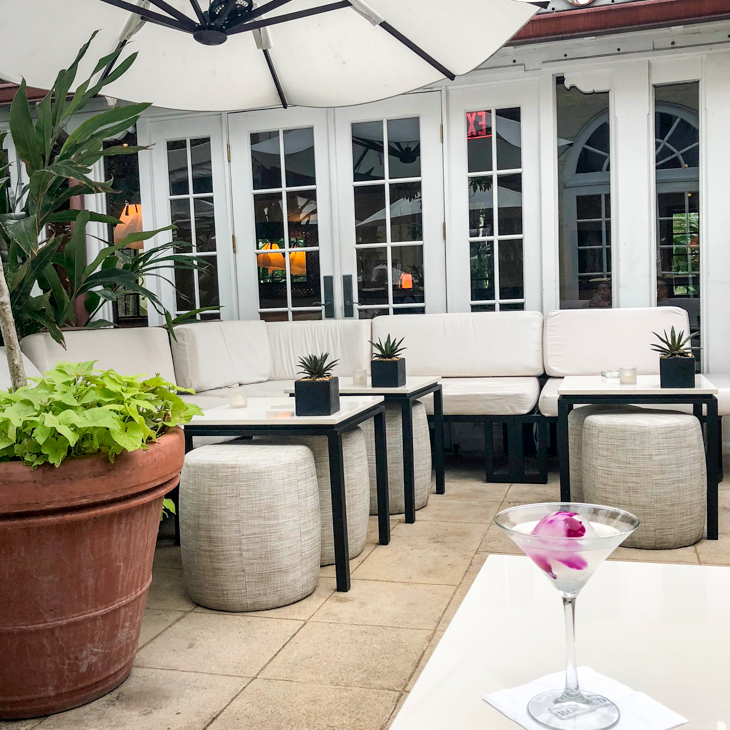 Their happy hour is from 4pm – 6pm daily at the bar or in the outdoor lounge, which includes a special food menu, $8 cocktails, select $8 wines and $4 beers. For some reason, they didn't have any of the happy hour food items available when we visited on a Friday evening…strange. We were hungry, but decided to stay for a drink. I ordered the White Cosmopolitan, their most popular choice apparently. It is made with vodka, elderflower liqueur, white cranberry juice and an orchid ice sphere. It was the best cosmopolitan I've had, and the gorgeous orchid didn't hurt either. Our last stop was this French Canadian restaurant with another location in Montreal. Their happy hour is from 4:30pm – 6:30pm daily at the bar and 50% off main courses from 5-6pm. We were hungry and took full advantage of both deals! 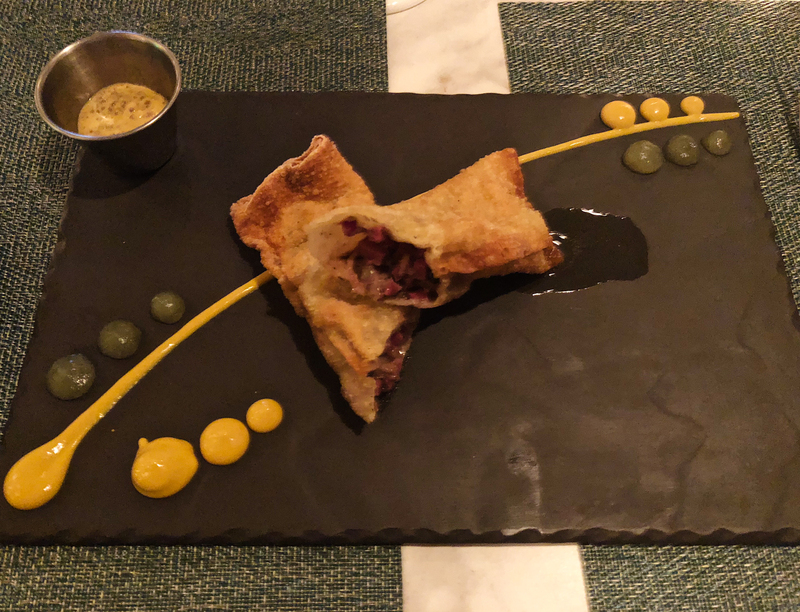 We sat at the bar and enjoyed their House-Made Smoked Meat Egg Roll to start, reminding us of the famous smoked meat sandwiches we had at Schwartz in Montreal. The server also treated us to the Goat Cheese and Black Olive Macarons. I've never had a savory version of the French macaron, but they were really good! 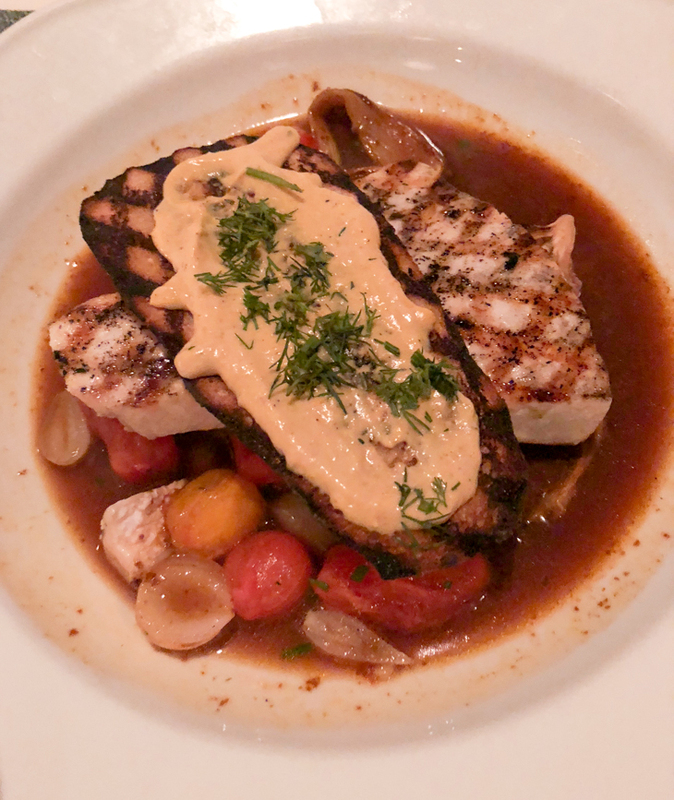 For our main courses, we ordered the Grilled Swordfish with a Bouillabaisse broth, roasted fennel and a Rouille crostini, and the Seared Chilean Seabass with a Honey Soy Glaze, Cauliflower Puree and Sautéed Spinach. Their bread also happens to be great – perfect for dipping into the broth of the Swordfish. Somehow, our bartender convinced us to get dessert. The menu was very interesting…it has hard to decide! 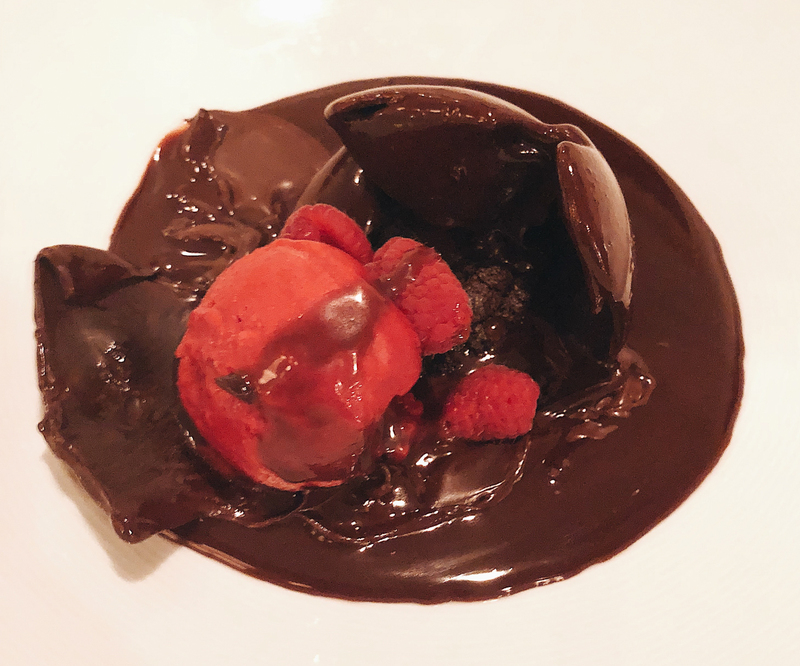 We ended up with the Dark Chocolate Sphere enclosing a chocolate brownie, raspberry sorbet and fresh raspberries. It was super rich and delicious for chocolate aficionados like me! We were thrilled with the food and service here and would definitely return! I especially want to try their Foie Gras Mac & Cheese. 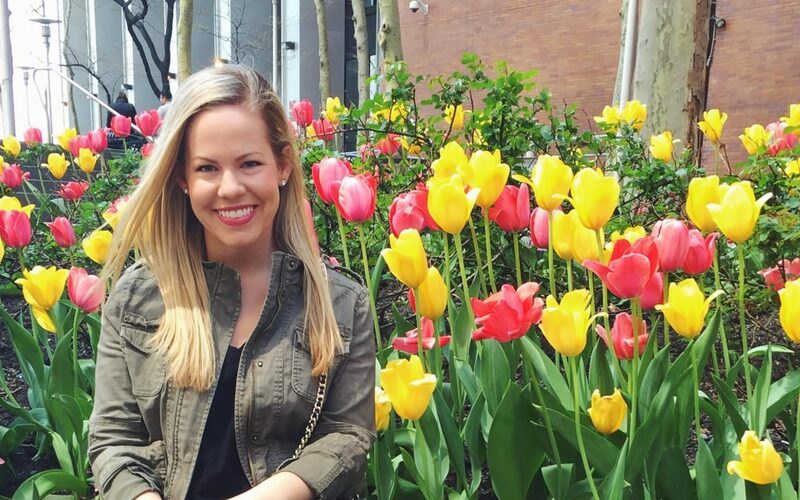 Where should we go on our next Happy Hour Hop? A Mediterranean eatery that honors centuries old traditions and classics in a modern dining room, an open kitchen and oyster bar. Daniel Boulud's upscale French cuisine served in an elegant hotel setting with an outdoor terrace. Set in a French country décor, Chez L’Épicier offers French Canadian Cuisine in a laid back atmosphere.